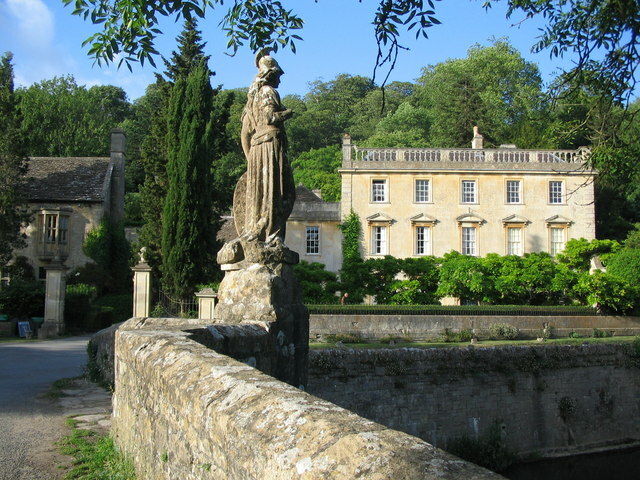 A view looking northeast to the statue of Britannia on the bridge over the River Frome at Iford. Iford Manor is on the right in the background. © Copyright Phil Williams and licensed for reuse under this Creative Commons Licence.